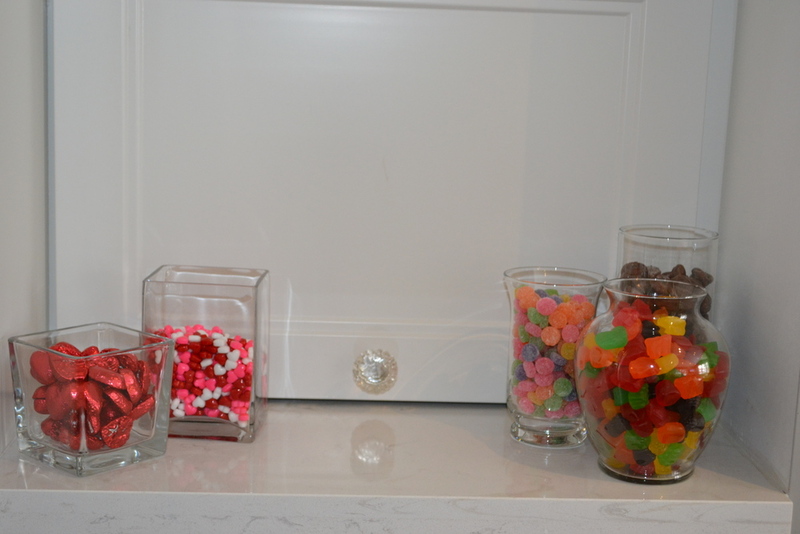 Amanda, I used to always have jars of candy on my counter....until it got out of hand. I loved how people started to expect it there and b-line for the kitchen in the hopes that their sweet tooth would be appeased. The problem was that it was just too accessible to my stay-at-home cravings. So then I started buying candy that I knew others would like but that I didn't. For instance, Brianna loves licorice but I couldn't care less for it. That was the happy medium. With Valentines day coming up I thought I'd theme my candy - so red and pinks it is. But I couldn't resist the macaroons so let's hope this candy lasts till the weekend.